Great Bear Innovation provides software development consulting services to companies looking to improve their business processes. We help our clients to solve problems profitably and we welcome partnership agreements and other unique arrangements. We have expertise in implementing complex custom solutions on the Salesforce platforms and have significant experience customizing Financialforce Accounting and PSA. Our specific expertise is focused on complex Apex/Visualforce interfaces and triggers, unique external system integrations using the salesforce SOAP API, and complex deployments and data migrations using our own powerful, custom tools to manipulate (ETL) data as well as to generate cusotmized deployments (package.xml, or SOAP Metadata API). 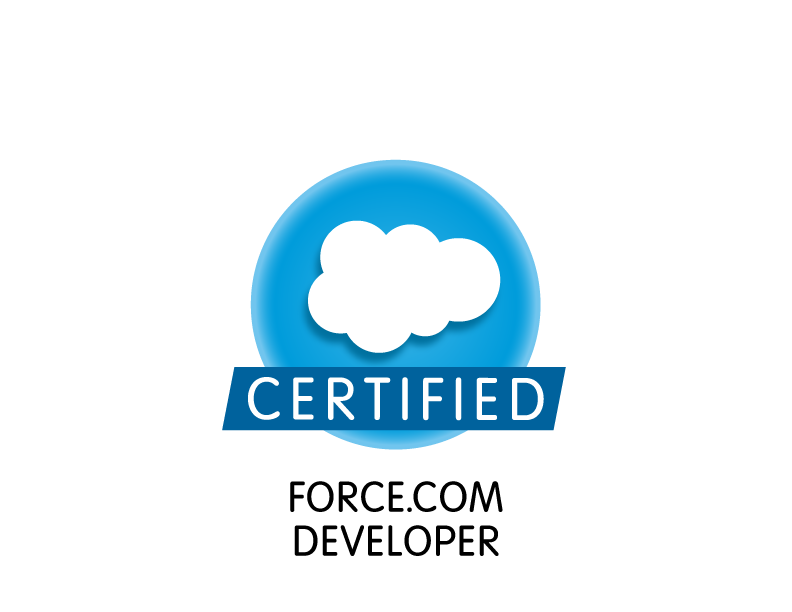 We are SalesForce.com Certified Developers and a SalesForce ISV Partner. Please contact for more info. .
SalesForce Application Development - We have experience in developing custom web applications within SalesForce including extending the standard user interface in SalesForce in almost limitless ways by using web development technologies such as HTML5 and jQuery to extend the core functionality of SalesForce Apex and VisualForce development platform to implement new user interface designs that are not possible with standard SalesForce components. This has allowed us to develop custom applications and interfaces that operate completely within the SalesForce security and application framework, but allow our clients to experience the custom interface they require without the limitations typically encountered with standard controls. Financialforce PSA Task Time Entry Interface - Developed a custom time entry interface to support a multi-level project task time entry timesheet within Salesforce/FFA/PSA. Cloud Integration with the Classroom - Integration of Google Docs and Microsoft SkyDrive with Microsoft Office365 and 2013 to provide a classroom assignment management system including leveraging these popular cloud technologies to manage the distribution, tracking, and peer assessment of classroom assignments. This solution also incorporates large scale data collection of student performance and progress assessment. Microsoft Office OpenXML Documents as a Database - Since the release of Office 2007, Microsoft has implemented an open standards, XML based format as the native file format for Office documents. This, in combination with the intense development of tools designed to parse and query XML format documents has created a unique opportunity for embedding rich datasets inside documents and files. These OpenXML documents can be handled, managed, and queried, as database elements themselves. This has allowed for embedding of standardized document review information inside of a document and then combining large numbers of documents for unprecedented aggregation and analysis. We are using this concept to develop new assessment tools to support educators as they attempt to implement the common core standards (http://www.corestandards.org/). For additional informationon this project visit http://www.3ranalytics.com/. SalesForce Integration with Business - By leveraging an entirely cloud-based, hosted development environment such as the SalesForce platform using development tools such as the Force IDE, Apex Language, and VisualForce presentation layer, companies can quickly leverage existing business processes, licenses, and data to greatly reduce system integration effort. We are developing solutions using the SalesForce platform to provide rich, low-cost integration of company data with custom websites and backend line of business systems to rapidly develop new business to business applications. Embedded and Mobile Applications - We are currently working with a partner to develop a prototype display technology using the popular Arduino (Atmel ATmega328) platform for custom hardware development and the java-based Android development platform to provide a rich user interface for remote control functionality via wireless Bluetooth link. These technologies were selected because they both provide low-cost, open source options for evaluating new product technologies as well as having a large base of skilled development resources available. Complex Data Migrations - We have experience with the project management, design, and performance of many large, complex data migrations for a variety of products including ERP, CRM, and custom business applications using a variety of available integration technologies ranging from packaged ETL tools such SQL DTS and SSIS to custom coded integration modules to manage translation rules and to maximize performance of large scale migrations. Microsoft SQL Server Adaptive Data Adapters - We have developed innovative data access layers for use with Microsoft SQL server in order to implement a dynamic, fully materialized view in Microsoft SQL Server (that includes Stored Procedures and aggregate queries, unlike Indexed Views) to gain well over 1000% response time for complex queries needed for use with data intense web applications and portals. If you are using the Microsoft Platform to develop web based solutions, then you will eventually run into performance bottlenecks with complex queries. We have developed methods for creating a specialized data layer that can dynamically pre-cache full query results in a standardized way so that results can be almost instantaneously presented to users. Business Portal Design and Development - We have designed and developed browser based, portals to provide consistent access to company data, business process automation, and key performance index dashboards. We have developed complete architectural platforms, as needed, to facilitate this based on the specific business integration needs of our clients, including integration with Microsoft Dynamics and SalesForce products as well as proprietary line of business applications. Our portals have provided a tightly branded, consistent "dashboard" to entire business operations, greatly simplifying security and access management, as well as training for staff by providing a single, consistent entry point to business systems and data. For more information, contact John McCarvill at . Ursa Major (also known as the Great Bear) is a constellation visible throughout the year in most of the northern hemisphere. It is dominated by the widely recognized constellation known as the Big Dipper, which has served as a navigational pointer helping travelers to find Polaris (the north star) for thousands of years, and has mythological significance in numerous world cultures. The constellation of Ursa Major has been seen as a bear by many distinct civilizations. This may stem from a common oral tradition stretching back more than 13,000 years. The Iroquois Native Americans interpreted Alioth, Mizar, and Alkaid as three hunters pursuing the Great Bear. According to one version of their myth, the first hunter (Alioth) is carrying a bow and arrow to strike down the bear. The second hunter (Mizar) carries a large pot "The star Alcor"" on his shoulder in which to cook the bear while the third hunter (Alkaid) hauls a pile of firewood to light a fire beneath the pot. As one of the most widely recognizable constellations in the northern hemisphere, the Great Bear has helped millions of people reach their destination for thousands of years.